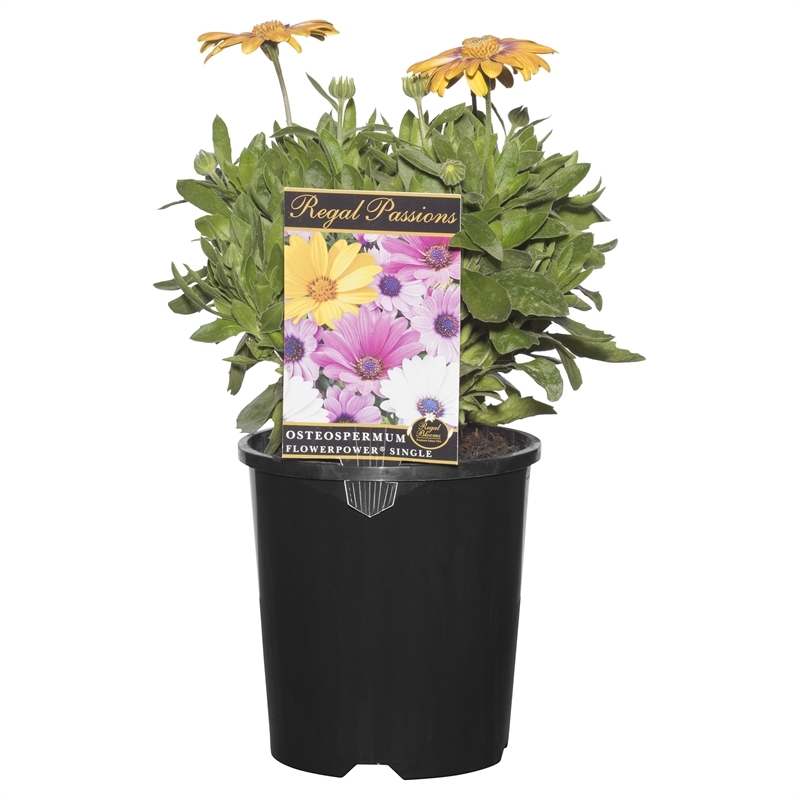 This variety of Osteospermum produces bright, daisy-like, single flowers. It has a bushy habit and a compact, sturdy upright growth. Osteos flower over a long period and are available in the Spring and Summer months. Multi-colour flowers available in range. Ideal for garden beds as well as in patio pots and containers. Prefers well drained soil or potting mix enriched with compost or slow release fertiliser. Regular dead heading will encourage further flowering.